West Bengal Power Minister Sobhandeb Chattopadhyay said that Union Women & Child Development Minister Maneka Gandhi should have spoken to Chief Minister Mamata Banerjee first. West Bengal minister and senior Trinamool Congress leader Sobhandeb Chattopadhyay on Friday accused Union minister Maneka Gandhi of "exceeding her brief" by directly communicating with Kolkata Police in a sexual assault case in which the victim is a two-year-old boy. The West Bengal Power Minister said that Gandhi should have spoken to Chief Minister Mamata Banerjee first. Chattopadhyay said the Constitution was being "disrespected" by some Union Ministers who were trying to infringe upon the state government's powers. "This is a state matter and even if anything has happened, the Minister for Women and Child Development should have spoken to the Chief Minister first. "Gandhi cannot directly speak to subordinate officials, as this amounts to exceeding her brief," said Chattopadhyay. "Recently, I have seen some Ministers are infringing upon the state's powers. I feel this way the Indian Constitution is being disrespected," he added. On Thursday, the Women and Child Development Minister said that it was shocking for her to know that the incident happened at a playschool run by a well-known group. "I have spoken to the Director General of Police, Kolkata, about the case and expressed my displeasure that they have not been able to arrest the accused when a play school has a very limited number of employees. 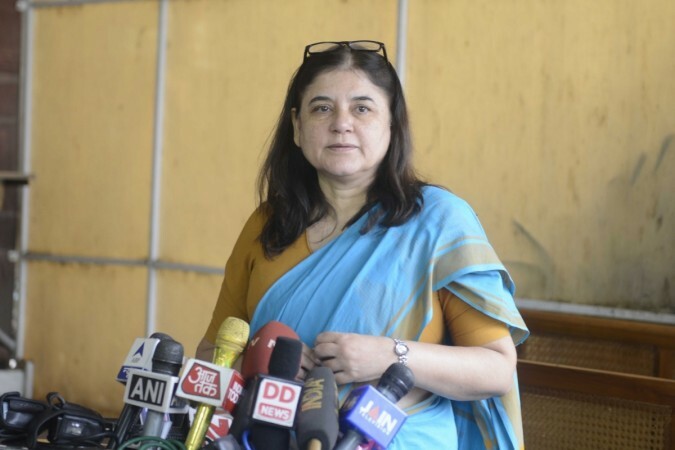 "I have requested him to ensure that immediate action is taken to arrest the accused," the Union Minister tweeted. The BJP has been clashing with the Mamta Banerjee government ever since the state held panchayat elections earlier this year. The elections led to a serious of violent incidents, as well as the killing of several TMC and BJP workers in the state. Recently the government also came under fire after a report by the Pratichi Institute indicated that government schools in the state were severely lacking facilities, and had poor student-teacher ratios.